In the Fall is an extraordinary epic of three generations of an American family, the dark secrets that blister at its core, and the transcendent bonds between men and women that fuel their lives over the course of six decades. In the twilight of the Civil War, a Union soldier named Norman Pelham, battle-wounded and near death, is found by Leah, a slave running from a different hell. After Leah nurses him back to health, Norman brings her to his family homestead in Vermont as his wife, and there they begin a family that will be shaped by their passionate devotion to each other and the consequences of their union. As her children approach adulthood, Leah is compelled to return to the South to confront the demons from which she fled many years before. Her journey will yield devastation for the entire family, transforming Norman and their two daughters forever and causing their son to turn his back on his family in favor of the anonymous, gas-lit world of bootlegging and nightclubs. Not until the next generation will the family’s secrets come to light, when their grandson is driven to retrace his family’s history and disentangle his complicated inheritance. What is revealed through this cycle of migration and return is the inescapable grip of bloodlines in a world where the cost of confronting the past is as severe as the cost of fleeing from it. Spanning the post­Civil War era to the edge of the Great Depression,In the Fall is a richly layered rendering of a rapidly evolving America from life on the farm, through the final years of Prohibition and bootlegging, to the advent of modern times. In sentences that roll with a grave, brooding beauty, Jeffrey Lent illumines the ineluctable connections that exist between black and white, North and South, past and present, as well as the violent collisions they give rise to. 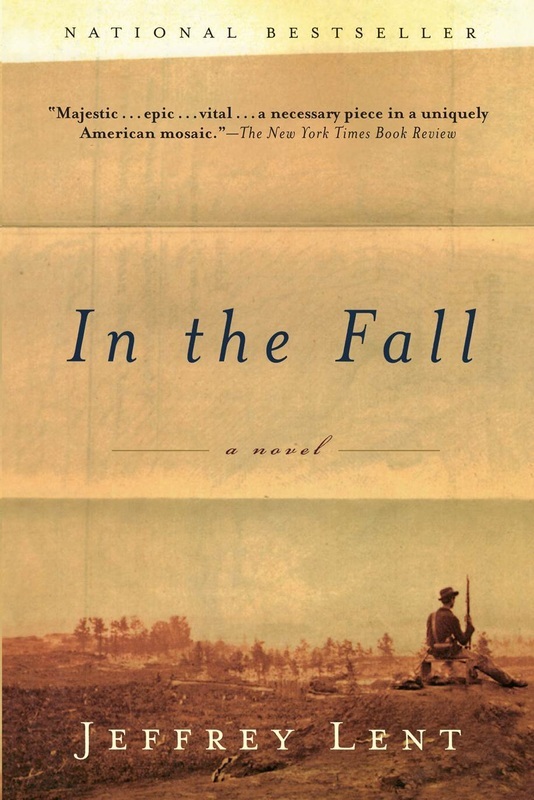 In the Fall is a fierce and utterly gripping vision of an American landscape and history, and an unforgettable portrait of an American family.